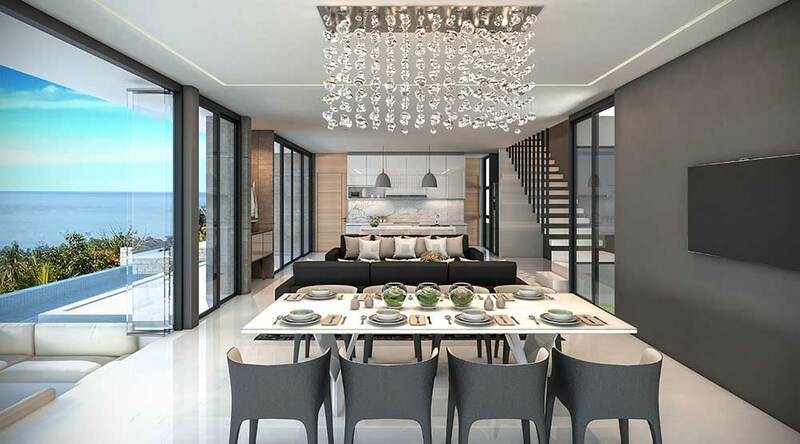 This fully-managed 27-villa sea view development is located in the hillside of prestigious Chaweng Noi with world famous Chaweng Beach just 350 metres away as the crow flies. 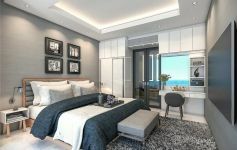 This upmarket and highly convenient location offers broth privacy and close proximity to the island’s most important amenities and key attractions. Guaranteed rental return of 7.8% for the first 4 years following handover, with 15 days complimentary stay per year. 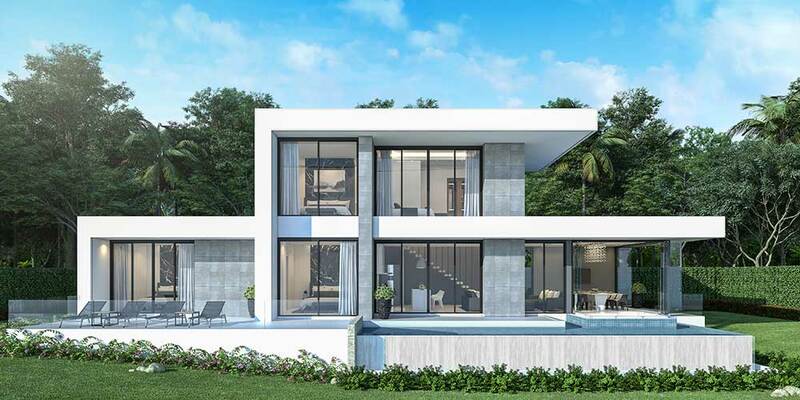 Villa selling price includes property stamp duty and transfer tax. 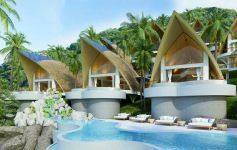 Facilities and services are resort standard and include: office & reception; year-round property maintenance; in-resort transport; fully equipped modern gym; 24/7 security and concierge; restaurant & bar, free shuttle bus to airport, shopping centres and Chaweng Beach. 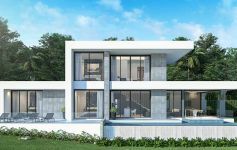 5 villa designs are on offer, each one fully detached with a private pool, sizes ranging from 1-bed 150 sqm up to 4-bed 400 sqm. 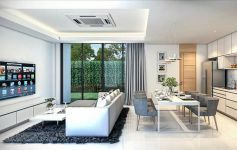 This is a 2-storey 3-bed design offering 255 sqm of internal area and 305 sqm of built-up area. 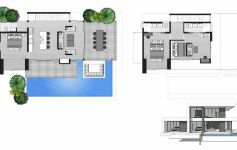 All 3 bedrooms are double and have their own deluxe ensuite bathroom. 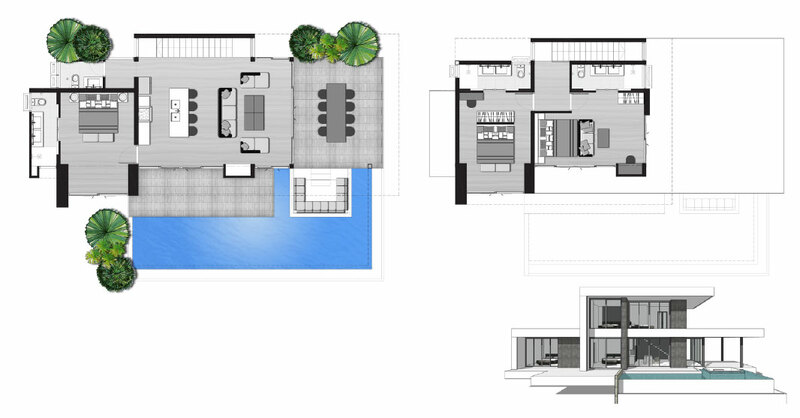 One bedroom is on the ground level adjoining the open-pan lounge/dining area. 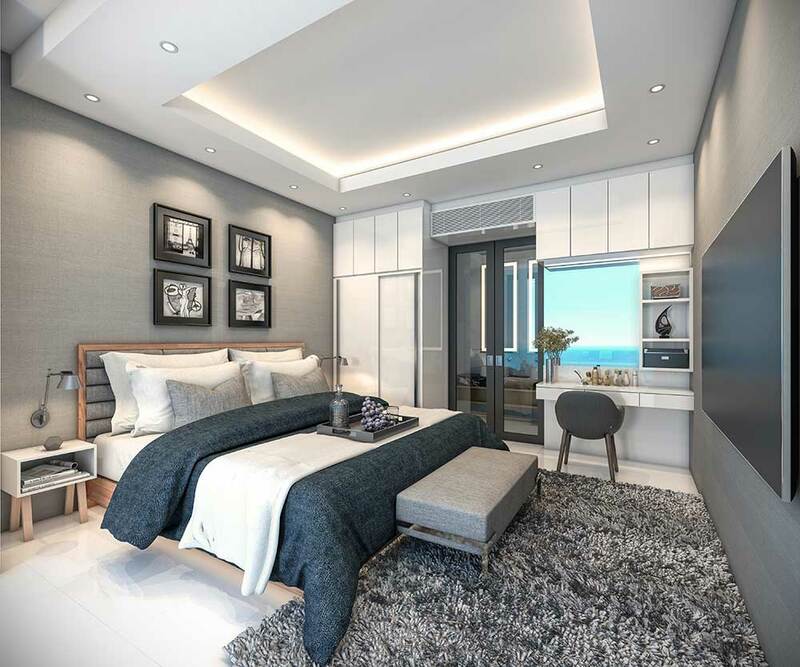 From this bedroom and the lounge, full-height patio doors slide open to the pool terrace blending the indoor and outdoor areas to take full advantage of the beautiful tropical setting and ocean views. 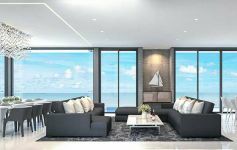 The two bedrooms on the upper level feature sliding patio doors opening onto a private sea view balcony. 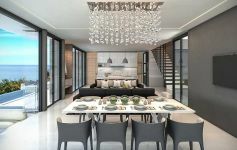 Along with a private infinity-edge pool, also included is a fully equipped and fitted high-spec kitchen. 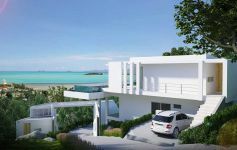 New gated development of contemporary sea view villas by award-winning architect. 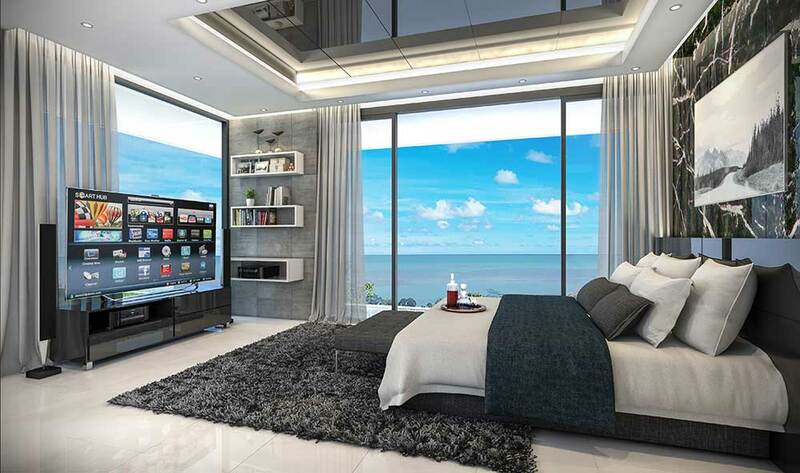 Panoramic views and exceptional value for money. Guaranteed 5% rental return for 10 years.